My name is Frank van Zoggel and I am from the Netherlands. Kiteboarding is something special which gives joy to my life. I passed my Instructor Training Course (ITC) in may 2009 and have been teaching ever since. My first experience with this sport felt so good that I knew I wanted more. I graduated Sports Management, Leisure and Outdoor with 2 majors; PADI Dive Instructor and IKO Kiteboard Instructor. Villa Vedici is a resort which is based on a business plan that I set up. At that time I didn’t know that I would immigrate to the Kingdom of Cambodia. So here I am, not leaving this spot ever again! My name is Sam and I’ve been kiting all since 2015 all over the world. I love being on the water and using the natural elements to propel myself over and above the ocean. I enjoy passing on to students the good vibes that kitesurfing brings. The best is when you see their smile after their first ride! 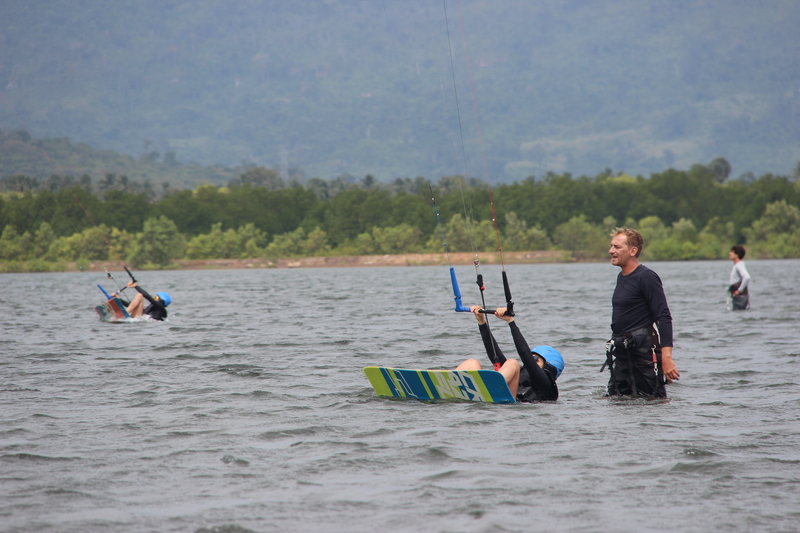 Cambodia Kiteboarding has operated out of Villa Vedici riverside resort in Kampot for the past seven years. We follow the standards and guidelines set by the International Kiteboarding Organisation. 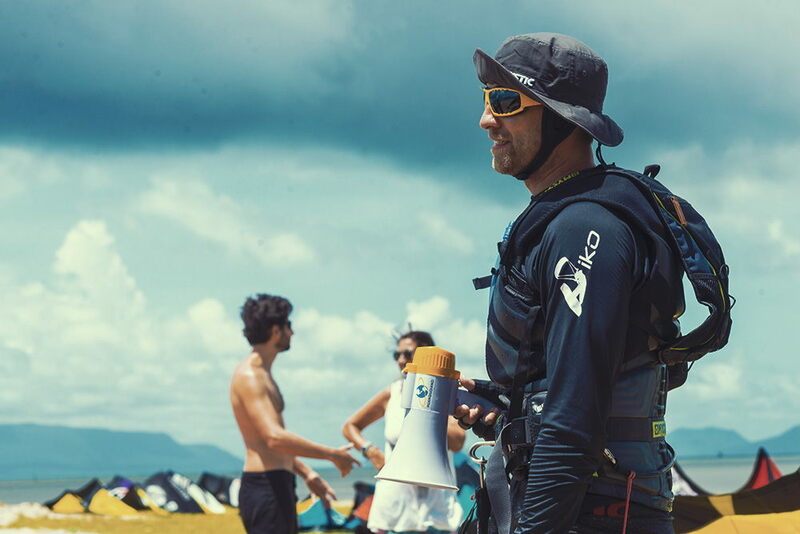 The IKO is the world’s leading kiteboarding organisation, specializing in kiteboard education, promoting safe practices and enhancing the highest standards for the industry. Lessons are held on the Kampong Bay estuary, 7 km’s down river from Villa Vedici resort and offering stunning views of Bokor mountain and Phu Quoc island. It’s a very safe area for teaching, it’s a big bay with shallow, warm water. You will have plenty of room for making mistakes, not worrying about other kiters around you. The windy seasons in Kampot run from November until March, after this the wind changes direction to onshore wind starting from April to begin October. If a day does not bring enough wind, you will always enjoy Kampot province.